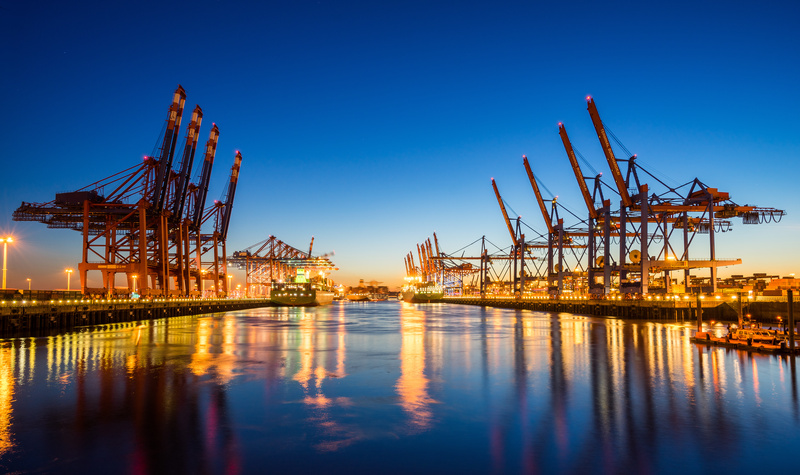 The Port of Long Beach, located in Southern California, is an integral part of trade between the U.S. and Asia boasting a mind-blowing amount of cargo exchanged each year. In this post we’ll highlight 5 cool facts about the massive port. The Port of Long Beach is one of the busiest ports in the world and the second-busiest container port in the United States. It occupies 3,200 acres of land and 25 miles of waterfront in Long Beach, California. Each year the port handles over 6.8 million 20-foot container units (TEUs). 1.4 million jobs throughout the U.S. are related to trade generated by the Port of Long Beach. The top imports are crude oil, electronics, plastics, furniture and clothing. When you look at the sheer scale of the port, it’s truly impressive especially when you think about the impact it has on everyday life in one way or another.